Give your car the care and attention it deserves with our vehicle detailing. We cater to your needs and take pride in making your vehicle look flawless. Make your vehicle shine with auto cleaning from our company. Looking after your car is an investment and we keep it looking clean and fresh. 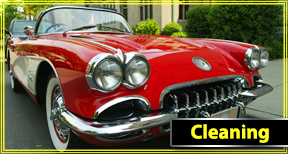 At Keaton Auto Detailing in Parkesburg, Pennsylvania, we clean the interior and exterior of automobiles, boats, aircraft, motorcycles, and RVs. With more than 25 years in the business, we take pride in each customer’s satisfaction, and only use top-of-the-line products from carpet cleaning to paint restoration. Once you receive our quality service you will not want to go anywhere else. Our staff is committed to instructing our customers on how to keep their vehicle in the best possible condition after completion of the detailing services. 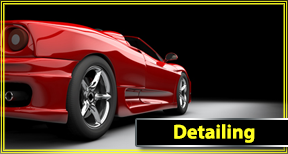 Keaton Auto Detailing is perfect for those who take pride in their vehicles. Contact us to request an estimate for auto detailing and car valeting by our trained professionals.